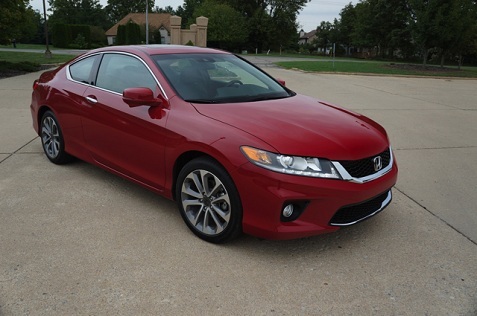 The new 2013 Honda Accord 4DR Sport is one of many Accord variants produced by Honda, and with a 6-speed manual transmission, it sure is one of the more intriguing. We were fortunate enough to test a sweet, modern steel sport model and came away with some new impressions of the Accord. Crisply styled and aerodynamically efficient, the 2013 Accord Sedan body design is the most sophisticated in Accord history. 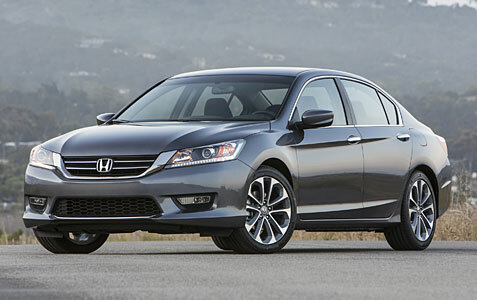 The 2013 Accord unit-body uses 55.8-percent high-tensile steel, more than in any previous Accord. In addition, 17.2-percent of the steel is now grade 780, 980 and 1,500 – extremely high grades that have never before been used in any Accord. This contributes to higher body rigidity and reduced weight, which directly benefits ride and handling, interior quietness, performance and efficiency and long-term durability. With its contoured body sides, the Sedan’s exterior design is sleek, bold, decisive and athletic. Extensive use of under-covers improve aerodynamics for increased fuel efficiency, while other advances include available LED headlights, DRLs and brake lights, mirror-mounted turn signals, and the standard Expanded View Driver’s Mirror that increases the driver’s field of vision by 4.2 degrees. Our test model also sported 18-inch alloy wheels, fog lights, power door mirrors, dual exhaust, rear decklid spoiler and auto on/off headlights. 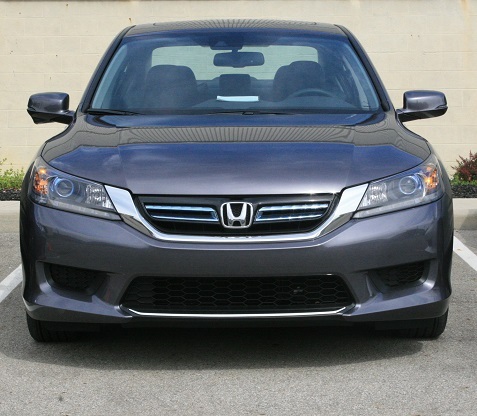 As with past Accords, the 2013 Honda Accord 4DR Sport offers a cabin that is clean and stylish. There really is something about the Accord interior that elevates this car over her rivals, and it’s been that way for years. 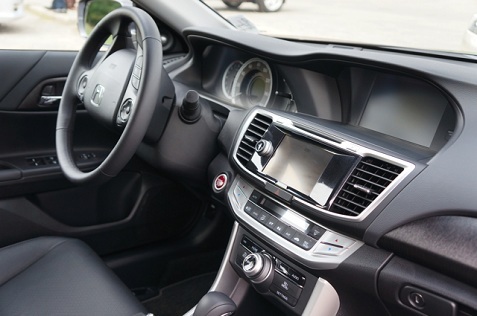 A completely new interior provides a level of luxury and craftsmanship never before seen in the Accord. Available in Black, Gray and Ivory cloth or leather, the interior combines welcoming comfort with an impressive range of available technologies. Standard features include redesigned seating, dual-zone automatic climate control and simplified controls and instrumentation.